The ocean is projected to contain more garbage than fish by 2050, but not if The Ocean Cleanup has anything to do with it. They created a nearly 2,000 foot long floater that can collect almost 5 tons of garbage per month. The goal of the project is to clean up 50% of the Great Pacific Garbage Patch in five years, with a 90% reduction by 2040. This could save millions of fish and marine life. "By removing the plastic while most of it is still large, we prevent it from breaking down into dangerous microplastics," which can be harmful to all sea life, describes The Ocean Cleanup. While the invention is costly, in the long run, it is extremely worthwhile. Not only will it extract the garbage from the ocean, but the collected plastics will be directed to reuse. 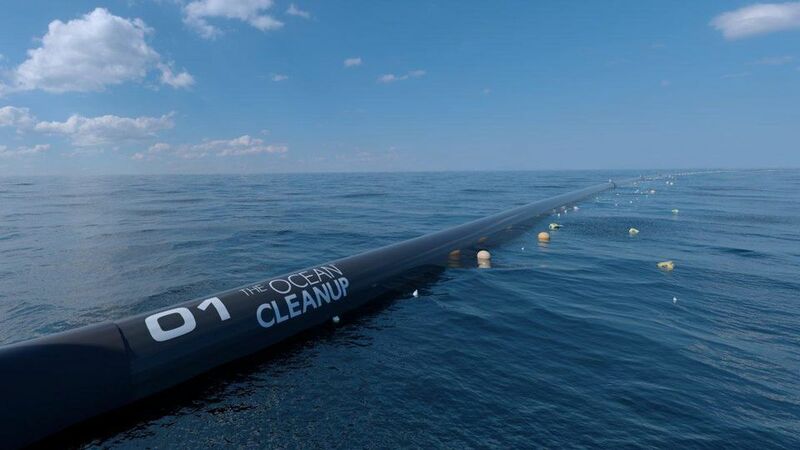 This product has seen its fair share of criticism, but Lonneke Holierhoek, chief operating officer at The Ocean Cleanup responded with "I'm convinced our project does give hope, not false hope... We are solving a serious environmental problem with the cleanup. It also shows we don't have to give up." Though there is still a ways to go, The Ocean Cleanup has taken a dive into one of the earth's most pressing issues and has shown hope as to what they can accomplish.